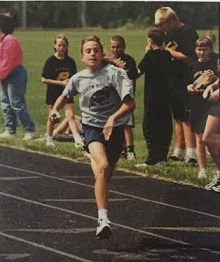 Emphasis for the YSF Track & Field program is placed on teamwork and proper training techniques, including overall conditioning, stretching, and warm-up and cool-down periods. Participants are taught correct techniques for field events and baton exchanges. All YSF Track & Field events are co-ed. If your community is not currently participating in YSF Track & Field and would be interested in joining check out our Joining the YSF page!